The picturesque hill town of Manali is sometimes referred to as the Switzerland of India, as it is surrounded by mountains on the three sides and has some of the most beautiful meadows, orchards, rivers and fields in Himachal Pradesh. Though discovered by the British and Europeans in the late 19th century, Manali had always been one of the pilgrimage sites in India. It derives its name from Manvalaya or Manuwali. The legend goes like that of the Joan's ark. Long long ago the sage Manu, the divine law writer in Hindu mythology, found a fish who asked him to build a huge ship to save the world from the terrible flood that would drown the land. Manu did so and when the water receded, the place he landed was today's Manali. The life started from this place. Therefore the place was known as Manvalaya that is the abode of Manu or Manuwali meaning Manu's. But it was only in the 1970s that the government realized its potential as growing tourist destination. That gave rise to the new town of Manali, which was linked with the old by a bridge. Today, Manali still maintains its charm and beauty despite the heavy tourist traffic. Manali is a hot spot throughout the year. It is at its best in the spring when the River Beas gushes through, the streams flow at every nook and corner, the meadows are lush and green, flowers bloom everywhere and various berries, raspberries and cherries start wearing the pink colour. 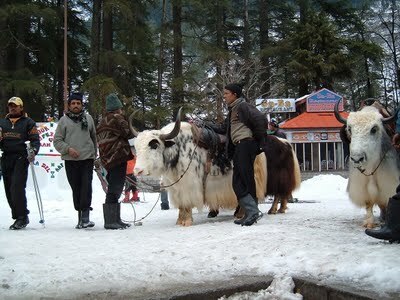 The winters are no less when the green turn white and people from India come to experience the snow in the crisp cold. Pine forest all around, acres of verdant landscapes, grazing herds, apple orchards and the people with their smile and folk dances and song add to the mystic romance that Manali offers. Apart from the beautiful nature Manali has many things to offer. Manali is the point to start trekking, learn skiing, go bird watching, do river rafting, go mountaineering and from Manali one can cycle up to the hilly regions of Leh in Ladakh. Manali offers great variety of food. Along with local preparation of Lentils and rice and rotis, the typical Tibetan thukpa and other dishes are famous in Manali. It is also a shopper's paradise where one can buy ample variety of woolen items and handicraft items made of wood. Further ahead is the Beas Kund. The tiny roundish igloo like stone hut shelters the Beas Kund, the very source of the holy river Beas. Water flows at the source of the river likfe a spring, so clear and icy cold that it almost numbs the fingers. All around is the rocky terrain with very little vegetation. A few mules graze around while all and sundry try to brave the wind on a clear sunny day. At about half an hour’s brisk walking distance from town, there are sulphur springs-gush, hot and medicinal - emerging out of the mountains at Vashisht. Here, in a bath complex with a restaurant and a beautiful view, couples can soak in the privacy of their own sunken bath, warming all kinds of ailments out of their systems. 4 kms from Manali near the village of Perini is the Arjuna cave. It is said that Arjuna wanted the weapon from the king of the Gods Indra and he chose this place to meditate and please Indra to acquire the weapon. The place offers a charming panoramic view of the hills and the mountains around. The nearest railhead is that of and this narrow gauze railway station is 95-km from Kullu. 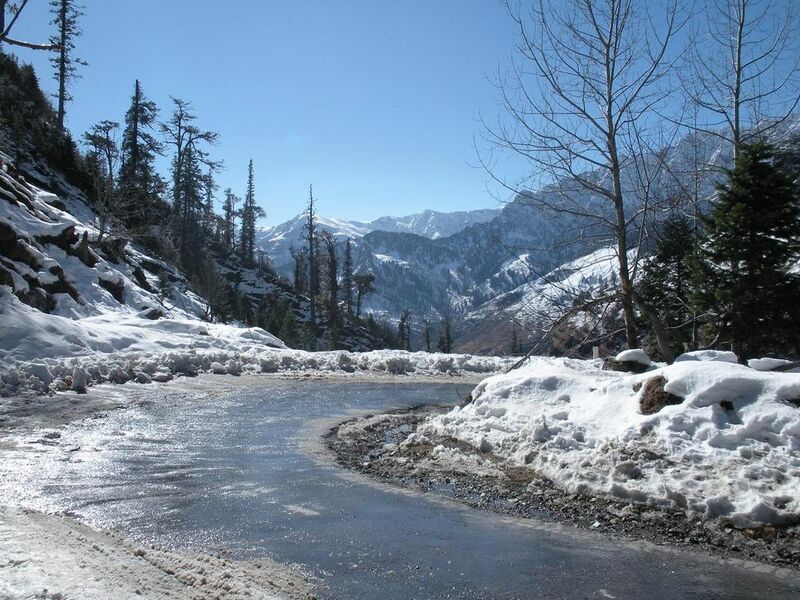 The scenic beauty of Kullu while going to Manali can best be enjoyed on a bus or a taxi. It is better to take a taxi, which one can stop and enjoy the nature at will. In winter, the temperature can drop below freezing point when heavy wollens are required. Summer temperatures are mild and light woollens/cottons are recommended. Located at the highest point, every room comes with a picturesque view of the snow-clad Rohtang Pass. The hotel is within walking distance to shops and places of historical and tourist interest.Quality Inn River Country Resort in Manali is the newest luxury resort of Manali. Located off the main crowded Mall Road overlooking the River Beas and the hills beyond, this is an exclusive hotel. It is only when you walk into the hotel that River Country Resort’s elegant world comes into view— large as life windows suffuse the lobby with lights, three very busy restaurants lie right ahead and an informal reception— devoid of gigantic desks and wooden faces, welcomes you! The interiors are uplifting in their colours, design and execution. A touch of understated elegance is all pervasive. 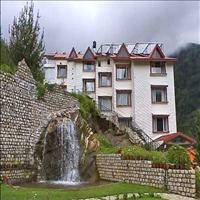 It is one of the best Honeymoon resorts in Manali to begin a new life. Sarovar Portico,Manali marks our presence in the hills. It is situated on the banks of the Manalsu River, below Manali village and next to the temple of Manu Maharaj. It has 43 rooms and suites. Sterling Manali is located in lush green terraced environs, cradled in the snowcapped Himalayan Mountains which provides ample opportunities for trekking. The Rohtang Pass, the Rahla Falls, Beas Kund, Solang Valley and the Brighu Lake are all worth a visit. Other sight seeing places include Hadimba Devi Temple, Vashist Kund and the Dhoongri Temple. Set at the highest point in Manali. The resort is a place where time stands still. Where you can bask in the sunshine or relax in the shade. And the rules are all your own. A place where you can find peace within. Where you lose yourself in the beauty of nature. And if you listen carefully you can hear your soul.